Following the successful first team-up of Alex Gonzaga and Joseph Marco in the Pinoy adaptation of the Korean TV drama series “Pure Love”, is the feel-good romantic comedy film, “My Rebound Girl”. This promising movie is surely great news to all SephLex fans out there. The plot appears to be funny and romantic, and at the same time, it seems to be something many broken hearts could relate to. These and more make Alex Gonzaga the perfect choice for the title role. Directed by Emmanuel Dela Cruz, “My Rebound Girl” is another blockbuster hit coming from Regal Films for this year. The movie’s plot is basically about the story of a hopeless romantic lady who appears to be quite unfortunate enough to have been from one rebound relationship to another. This happens for a number of times and just when she thinks she has had enough of being a rebound girl, she meets a man who apparently becomes the game-changer in her tragic love story. The question is, will this be another typical and cheesy boy-meets-girl story or something along the plot makes “My Rebound Girl” a one-of-a-kind romantic flick? Find out as it hits the theaters nationwide on September 28, 2016. Many avid fans of the said love team are already eager to see them back together again after two years. For sure, Alex and Marco have so much in store for those who have been wishing for their next project as a love team, especially as the lead stars in the big screen. 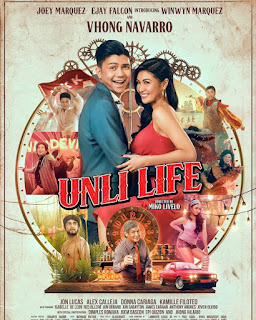 Other than them, this exciting romantic comedy film with a little drama also stars Martin Escudero, Mitoy Yonting, Pinky Amador, Carl Guevara, Nathalie Hart, Helga Krapf, Alora Sasam, Racquel Villavicencio, Anna Vicente, Nico Nicolas, and Lawrence Yap. Surely “My Rebound Girl” would make a big noise with what it has to offer.